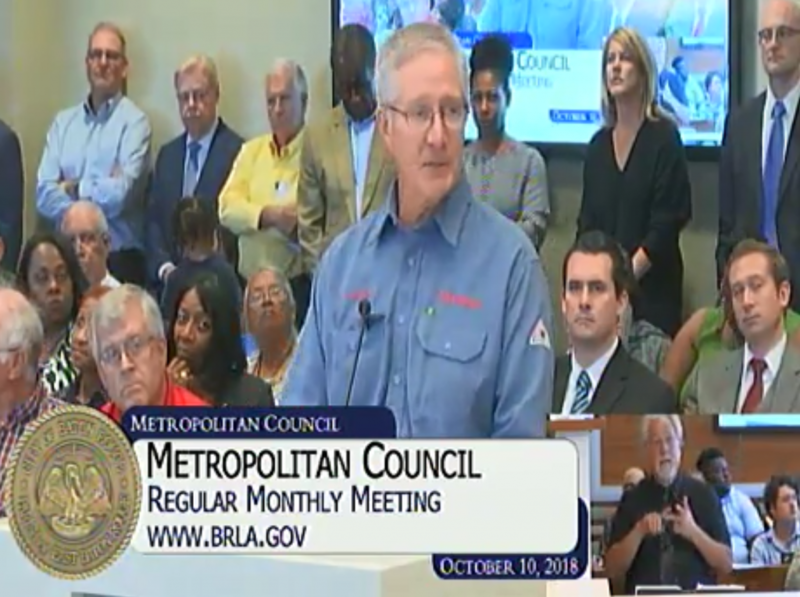 Baton Rouge, LA (October 10, 2018) – As a Vice President at Setpoint Integrated Solutions, I’m here to speak in support of Exxon’s BRPO project receiving its ITEP approval. Setpoint provides products and valve services to the petrochemical, refining, and power markets, and since its founding in 1959 has called Baton Rouge home. As a leading company in the valve services industry, with over $200 Million in annual revenue, we are committed to supporting industrial growth that programs like ITEP encourage. While our business has grown to cover the entire Gulf Coast region, we maintain our headquarters in Baton Rouge along Highland Rd. Looking at the Highland Rd area alone, there are multiple other peer companies who operate in the same business sector, providing similar products and valve services as Setpoint; so, while I am here as an officer of Setpoint, I feel I am also speaking on behalf of the valve service and distribution industry as a whole for the metro region. At the end of the day, like any other business that relies on industry, our ultimate role is to provide for our employees, giving them a safe, stable, and prosperous career path. 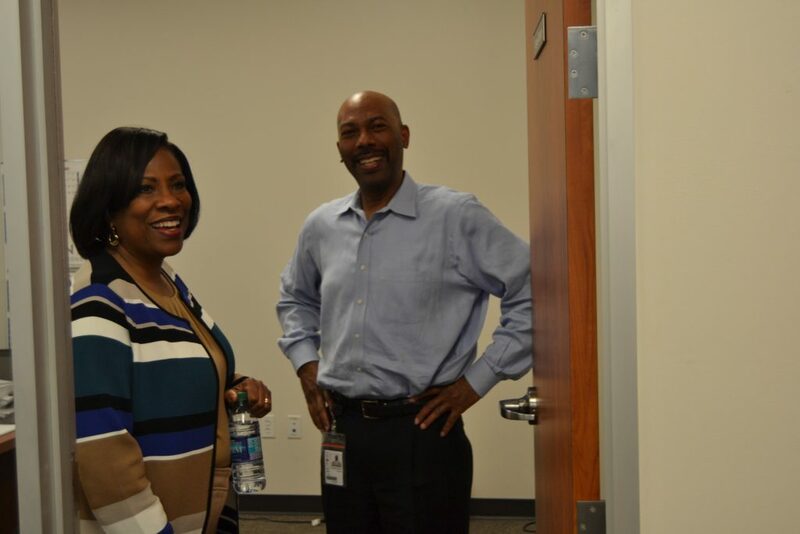 Setpoint employs 715 permanent employees with over 145 located within the Baton Rouge Metro area. These employees represent a diverse range of backgrounds and professions: from welders and machinists to engineers and accountants. It is clear that a company like Exxon will need to have an economic justification to support their capital investment regardless of the final location. Importantly, what city and state they choose to invest in whether it’s Corpus Christi, TX – Baytown, TX – Beaumont, TX, or ideally Baton Rouge, Louisiana. 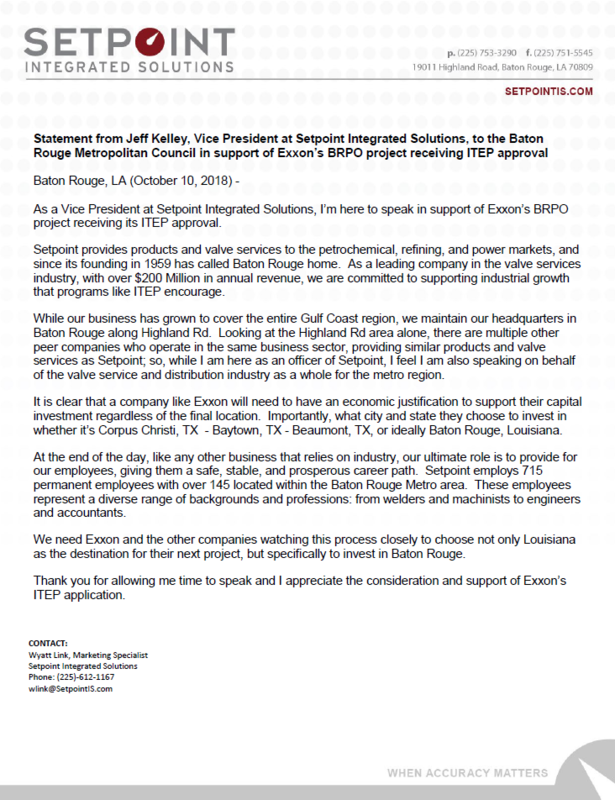 We need Exxon and the other companies watching this process closely to choose not only Louisiana as the destination for their next project, but specifically to invest in Baton Rouge.Thank you for allowing me time to speak and I appreciate the consideration and support of Exxon’s ITEP application. Baton Rouge Mayor, Sharon Weston Broome toured the Setpoint I.S. headquarters, met with the Setpoint I.S. team, and brainstormed new ideas as part of the Workforce Development Tour. Setpoint Integrated Solutions continues to be recognized as a major employer in the Baton Rouge area and across the Gulf South.The brand name associated with Setpoint I.S. is not only well known and highly regarded amongst our customer base and the industries we service, but also within the business community of Baton Rouge. 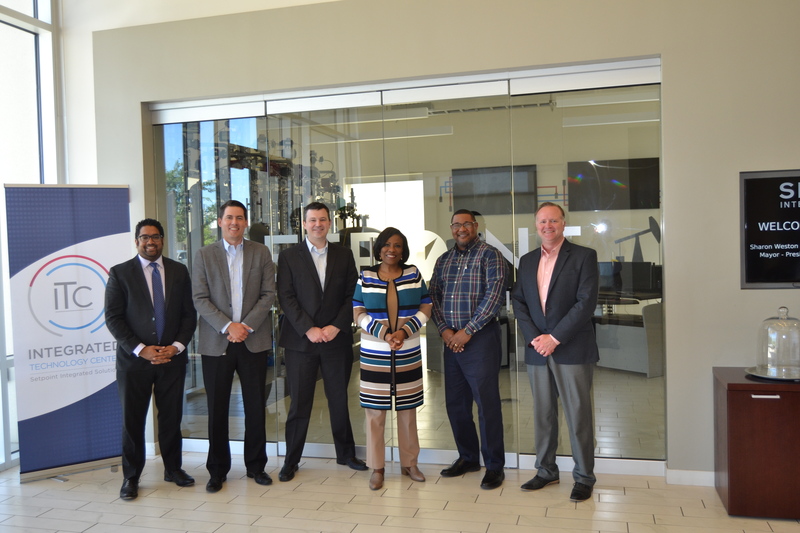 Mayor Weston Broome not only wants to utilize this opportunity to connect with local businesses, but to collect data and information that will help local businesses find skilled workers and develop the local workforce. 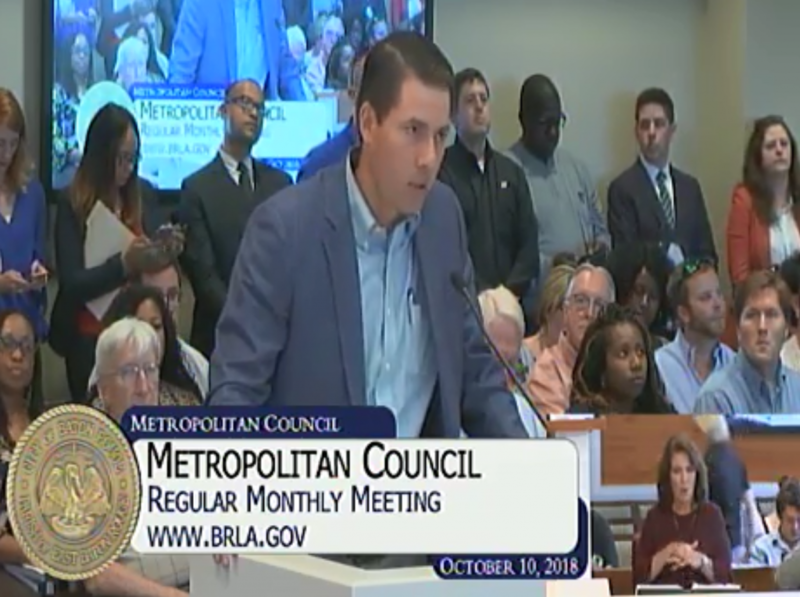 Setpoint Integrated Solutions is proud to partner with local stakeholders, such as the Mayor, to continue to provide the best possible service to our customers while also being an engaging and fun place to work. Please click here for the link to the Baton Rouge Business Report regarding Setpoint I.S. 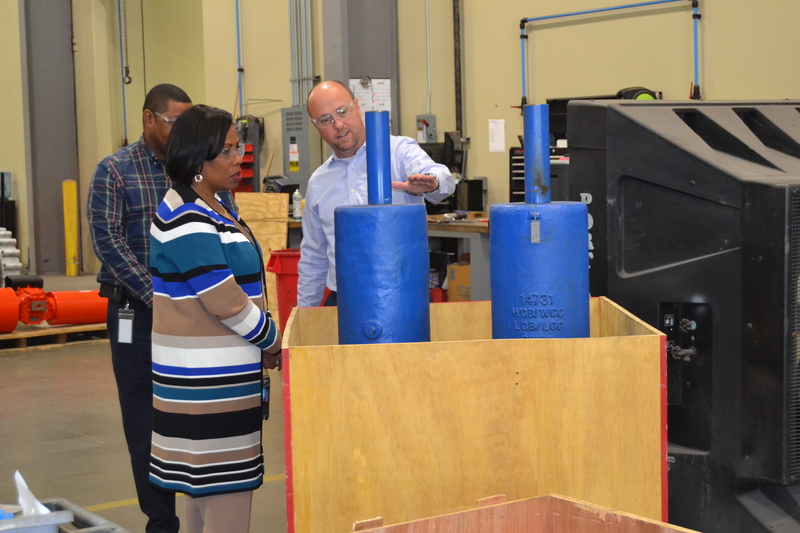 and the Mayor’s Workforce Development Tour. 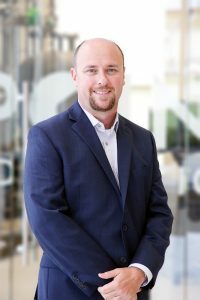 Baton Rouge, LA (December 18, 2017) – Setpoint Integrated Solutions is pleased to announce today that Jeff Birch has been promoted to the position of President & CEO of Setpoint Integrated Solutions from his current role as Chief Operating Officer. Jeff has been with Setpoint Integrated Solutions for approximately 1.5 years. During this time he has lead and contributed significantly to business improvements while also serving as the company’s CFO. In his capacity as President and CEO, Jeff will be responsible for the operations, financial results, and strategic vision of the company moving forward. The company has made a number of management and organizational changes over the last two years. This represents the final significant change for Setpoint Integrated Solutions as part of that transition. “We are very well positioned with a great team, strong OEM partners, and outstanding customer relationships as Setpoint Integrated Solutions enters 2018 and beyond”, said Jeff Birch when asked about his outlook on the company’s future. Dr Pepper Snapple Group where he was based out of Northlake, Illinois. Jeff earned a B.S. in Business Administration from the University of Louisiana at Lafayette, is a licensed C.P.A., and has a Master of Business Administration (MBA) from Northwestern University’s Kellogg School of Management. Jeff and his wife Mary have four children. Jeff and Mary’s son (28) is active duty Navy based in San Diego. Their oldest daughter (23) is a military spouse currently stationed at Fort Hood near Killeen Texas. They also have twin daughters (17) finishing the 12th grade. In their spare time Jeff and Mary enjoy traveling, playing tennis, cooking, and spending time with friends and family. Setpoint Integrated Solutions is the leader in the process control industry with 13 facilities across the Gulf Coast. Supporting the Power, Refining, and Chemical Industries with best in class valve repair services, delivering process solutions for control, relief, and automated valve requirements, along with industrial equipment including liquid level measurement, pressure gauges, PLC’s and more. Setpoint Integrated Solutions, headquartered in Baton Rouge, La., is a subsidiary of Pon Holdings B.V. of the Netherlands. Pon is an international trading and service organization with a workforce of 14,000 people spread over 450 locations in 32 countries. For more information, please visit www.setpointis.com and www.pon.com/en . Why are Pressure / Vacuum Relief Valves Required for Tank Protection? Why Are Pressure / Vacuum Relief Valves Required for Tank Protection ? Why Are Pressure/ Vacuum Relief Valves Required For Tank Protection? • Generally required by OSHA, EPA, etc. 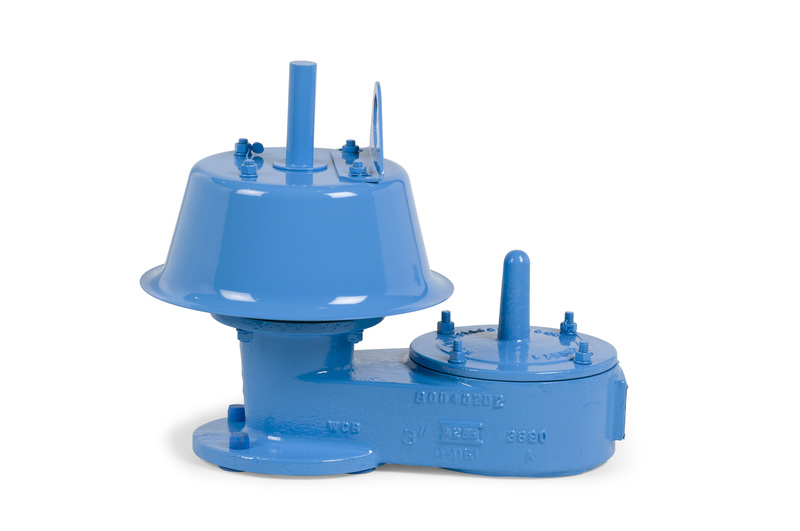 Pressure/Vacuum Relief Valves are protection devices typically mounted on a nozzle opening on the top of a fixed roof atmospheric storage tank. Their primary purpose is to protect a tank against rupture or implosion by allowing the tank to breathe, or vent, when pressure changes in the tank due to normal operations. Setpoint Integrated Solutions provides an entire line of products that will meet your specific application needs. One of those products is the Groth Model 1200A Pressure Vacuum Relief Valve. The Model 1200A is designed to protect your tank from damage created by overpressure or excessive vacuum. Costly product evaporation losses due to normal tank “breathing” are greatly reduced. Because the Model 1200A retains toxic vapors, atmospheric contamination is minimized. This helps to provide increased fire protection and safety. Model 1200A also offers Groth’s special “cushioned air” seating. 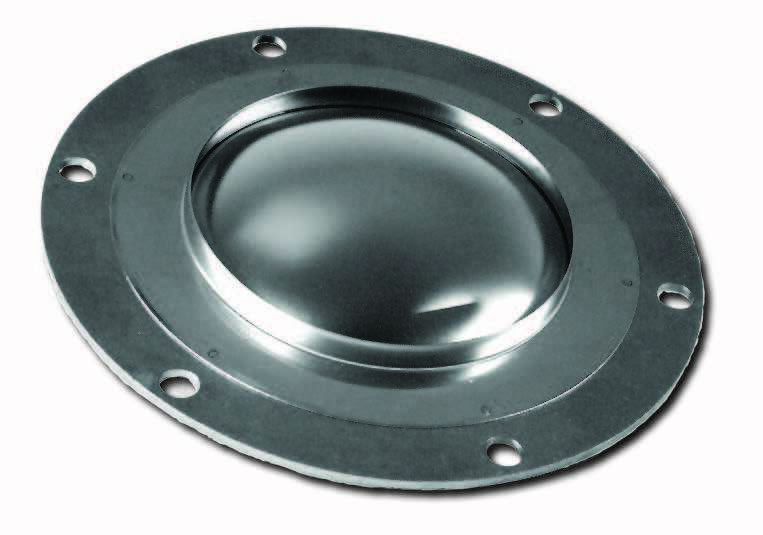 Superior performing fluoropolymer seating diaphragms are standard to minimize sticking caused by resinous vapors and atmospheric moisture. Additionally, the Model 1200A has a self draining housing body and drip rings to protect seating surfaces from condensate and freezing. This design also avoids dangerous pressure or vacuum buildup due to binding or clogging of the valve. Buna-N, FKM and other seating diaphragms can be provided when required. To insure the proper alignment of seating surfaces, there is peripheral guiding and a center stabilizing system. Setpoint Integrated Solutions has seven Groth Authorized Repair Dealers (GARD) facilities. Working with a Setpoint IS GARD facility, customers can be confident that repairs to Groth Corporation products are made to original factory specification with original parts. Setpoint IS will also conduct site audits with customers for technical product assistance and has inventory on-hand to quickly and effectively conduct equipment maintenance and repairs. Being the certified OEM repair dealer allows you to reduce long term maintenance costs by ensuring your repairs are made with OEM parts and by OEM certified technicians at Setpoint Integrated Solutions. Why Should You Insist on Original Consolidated Parts? With so many options available in the after market for replacement parts, why should you insist on original Consolidated parts? Quality, Safety, and Dependability, all delivered by OEM Certified Service. For more than 100 years, Consolidated has been delivering exceptional quality, safety and dependability, and the Original Consolidated Parts program continues this tradition. Expertly developed, rigorously tested, and built for specific applications, Original Consolidated Parts are designed for years of reliable, cost-effective performance. Additionally, at Setpoint Integrated Solutions, these Original Consolidated Parts are installed by factory-certified GTC* Technicians who make certain the job is done right. So when it comes to maintenance, don’t be tempted by seemingly cheaper aftermarket services and parts that could end up costing you more by jeopardizing up-time, longevity and low cost of ownership. Consolidated valve, but they don’t stop there. They put valves through strenuous testing to ensure that our parts meet the strictest quality standards in the most extreme conditions and situations. Many other companies do not have a research and development department, and in most cases, other companies simply don’t spend a fraction of the time, money and brainpower BHGE does to craft the highest quality products. What’s worse, other companies may make substitutions with cheaper materials that can cause parts to wear faster—resulting in dangerously diminished performance. Equipped with advanced tools, equipment and technology, Consolidated research and development and testing facilities support some of the most sophisticated parts development and quality assurance initiatives. Our world-class ISO 19001-certified sites are outfitted with state-of-the-art machinery, laboratories, test facilities and our team of engineers and experts applies best industry practices and processes to create exceptional products. Original Consolidated Parts are meticulously engineered and manufactured. Any slight deviation from the original design, materials or critical treatment processes can result in problems such as corrosion, cracking, poor positioning control or sealing performance and shorter service life. More importantly, design alterations—including unintentional ones—could pose serious safety threats. Don’t substitute, insist on Consolidated OEM parts from Setpoint Integrated Solutions. to provide the endurance and sealing for a relief valve? 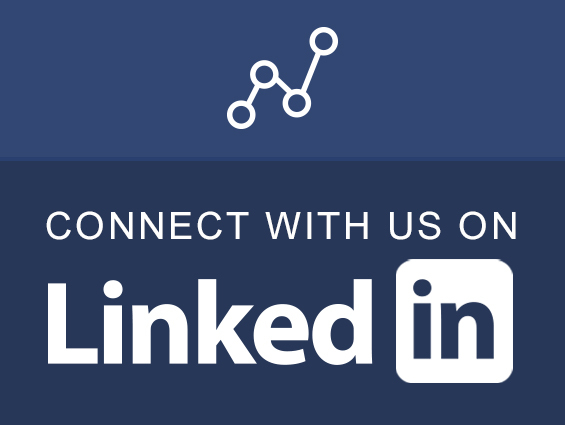 Setpoint Integrated Solutions does. There is no reason to risk this and jeopardize the local code requirements which demand the use of OEM parts and certificates of compliance for critical parts. All parts are not created equal. Only genuine Consolidated parts are manufactured to the exacting requirements of the original valve. That means only genuine Consolidated parts deliver the most reliable and safest long-term performance, prevent unscheduled downtime, and minimize the need for costly, time-consuming repairs. Consolidated parts ensure that your valve warranty remains intact and that you can breathe easier knowing that your valve will perform in its time of need. 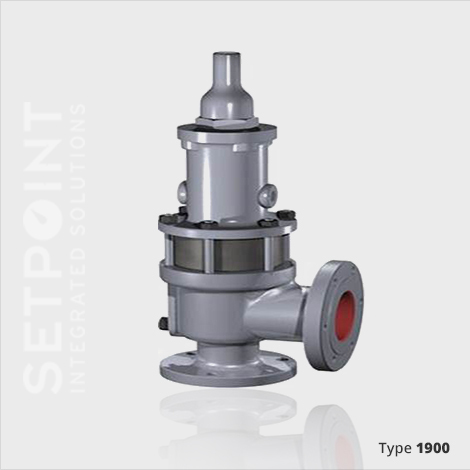 Protect your valve investment, work with Setpoint Integrated Solutions and look for the Consolidated name on the part or packaging. Demand nothing less. 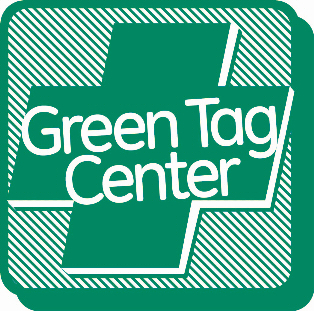 Consolidated’s Certified Green Tag Centers (GTC*) are the industry standard. Each GTC location is staffed with highly qualified technicians who are skilled in delivering exceptional support and technical expertise. Plus, GTC operations are equipped with machine tools and inspection facilities as well as assembly, paint and test equipment—all backed by BHGE for the assurance of quality. Globally recognized and in compliance with ISO 9000 standards, you can be sure when you see the GTC emblem that you have hired the right resource to handle your critical needs. As the world’s largest Consolidated channel partner for Baker Hughes, a GE Company, Setpoint Integrated Solutions has 10 Green Tag Centers (GTC) and years of experience in repairing Consolidated Valves with Consolidated OEM parts. 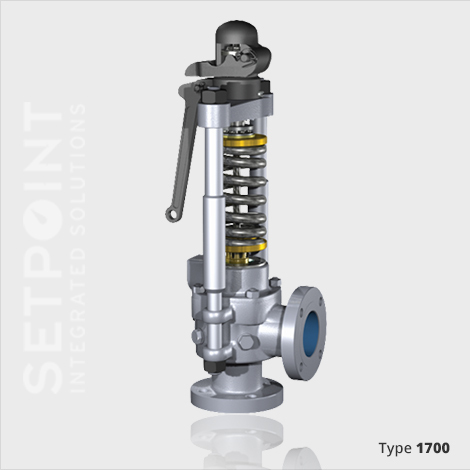 Call Setpoint Integrated Solutions today to ensure that you increase performance, extend service life, and protect your investment with OEM certified parts and service on your Consolidated valves. 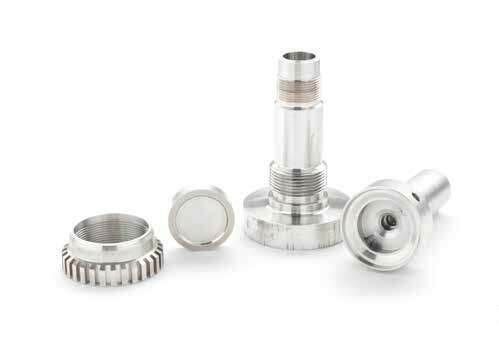 *This post adapted from Consolidated Parts Brochure – GEA33144A found here. Setpoint Integrated Solutions acquires GE’s direct channel operations (formerly Dresser Direct Inc). Baton Rouge, LA (June 30, 2017) – Setpoint Integrated Solutions is pleased to announce the acquisition of GE’s direct channel operations for the Consolidated and Masoneilan Sales and Services operations (formerly Dresser Direct Inc.). This transaction includes the Sales, Green Tag Center (GTC), and Masoneilan Authorized Repair Center (MARC) operations located in Deer Park, TX, Richwood, TX and Corpus Christi, TX. 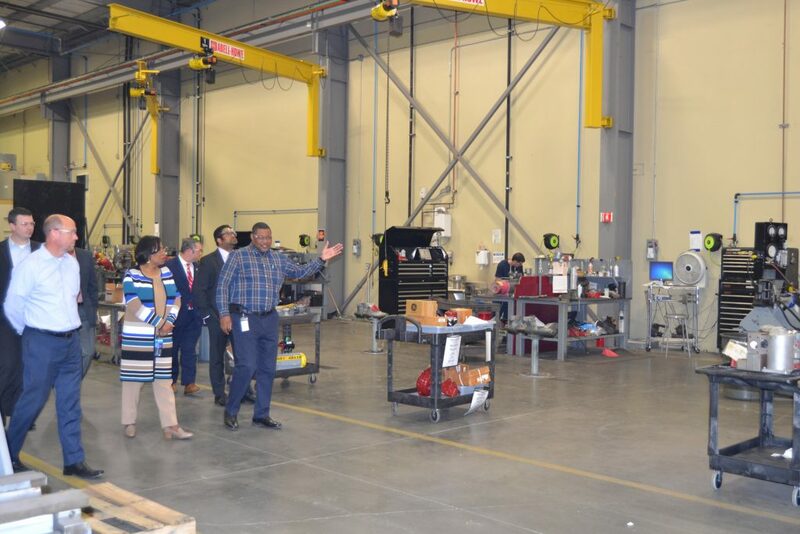 “GE Dresser Direct is a successful business, extremely well positioned within our core markets, and will increase our ability to serve customers both at a local site level and corporately across multiple Gulf Coast plant locations,“ said Jeff Kelley, Vice President of Sales for Setpoint Integrated Solutions. Setpoint Integrated Solutions is the world’s largest Masoneilan and Consolidated Channel Partner and will become the sales and service provider for the newly acquired territories. In addition to the Masoneilan and Consolidated product lines, the acquisition will extend Setpoint Integrated Solutions’ representative territory for the Groth Corporation among other manufacturing partners. “This acquisition demonstrates Pon’s commitment to invest in core markets and strategic manufacturing partners. I am excited to welcome the talented team from GE that will be joining the Setpoint Integrated Solutions family,” said Jack Guidry, President and CEO of Setpoint Integrated Solutions. The company will now conduct business with a complete product and service portfolio throughout the Gulf Coast: from South Texas to the Florida Panhandle. Why is Overpressure Protection Necessary on Electrical Equipment? Overpressure protection is a necessity for many process applications and many different products can meet specific application needs. When considering to choose a Safety Valve, a Safety Relief Valve, a Tank Vent, or a Bursting or Rupture Disc, it is important to review the application for which they will be utilized. Our example today has to do with Switchgears. Switchgears use rupture discs on cabinets where conductors and contacts are insulated by pressurized (SF6) sulphur hexafluoride gas. Molecule seen below. The reason for this is that within switchgear housings, very large amounts of energy are released in the form of heat and even radiation. This energy may give rise to pressure increases which may burst the enclosure unless the heated gases are given the possibility to flow out through relief openings. In the event of an internal fault, a pressure relief device would operate before internal pressure exceeds the design limit of the compartment. The pressure relief device should be designed so that discharges resulting from internal faults are directed away from locations where personnel may be present. Our OEM partner, Continental Disc Corporation (CDC) provides solutions for even the toughest pressure protection problems. Reduces costs and risk by protecting against damage to surrounding equipment and injury to personnel due to catastrophic overpressure events. Clean consistent opening pattern to provide optimum flow conditions. Thicker rupture disc materials contribute to superior corrosive resistance. Contact us today to learn more about what solutions are best suited to your application. The above information has been adapted from a CDC technical brief found here. What Are the Four Components of Fugitive Emission Packing Designs and Why Are They Important? When ensuring low emission packing, what components are needed, and why are they important? Packing Rings – The primary sealing rings of the set. Through management of a “packing stress level”, these rings do the majority of the sealing that we desire from the set. The materials are selected to have a combination of strength and low permeability, while minimizing frictional effects on the moving component. Top & Bottom End Rings – These may also contribute to sealing, but the primary function is to provide a reinforcement and “anti-extrusion” effect for the packing rings. Packing Follower – While the follower also provides extrusion resistance, its primary function is to transfer loading uniformly to the packing set. A spherical mating surface with the packing flange ensures a consistent application of load transmission. 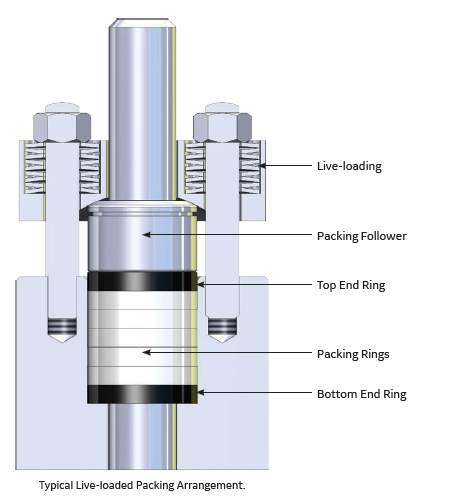 Live-loading – Typically a series of springs that may be embedded into a packing flange (as shown), placed on top of the packing flange, or embedded in the packing follower. The spring sets provide a constant loading (to provide the packing stress) and maintain that load for a period of time reducing the frequency of manual adjustments. While not called out below, it should be noted that through proper torque applied to the packing nuts, the spring load is generated. Maintenance of this torque is critical to ensuring low leakage rates. It should also be noted that the valve body-bonnet joint is also a source of emissions. For ISO qualified designs, this joint is tested and part of the qualification. The illustration below shows a typical arrangement for low emission packing. 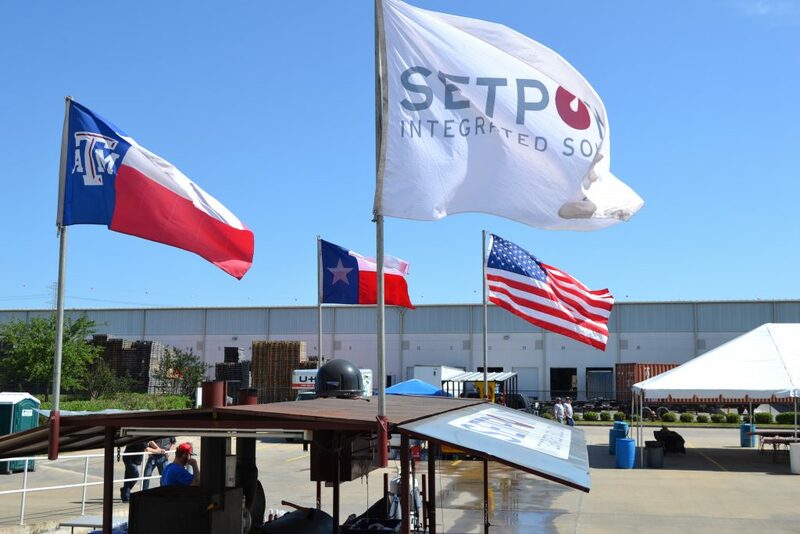 When choosing an arrangement for Low Emissions Packing to prevent Fugitive Emissions, be sure to reach out to Setpoint Integrated Solutions for all your needs. © 2017 General Electric Company. All rights reserved. Do you know which Pressure Gauges are Suitable for Ammonia Applications? 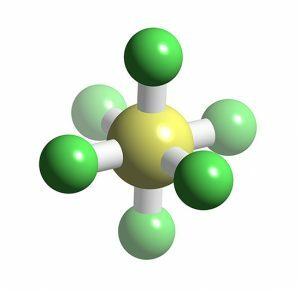 Ammonia service is very severe and can have an impact on all materials that make up the components which Ammonia encounters within a process. It is important then to know which materials are suitable for Ammonia Applications. 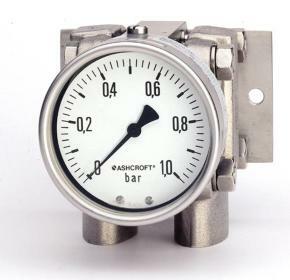 Below we spotlight one of our OEM partners, Ashcroft Inc., and explain which Pressure Gauges are suitable for Ammonia Applications. Ammonia is a common refrigerant used in many commercial installations. It is also used as a fertilizer in the form of a gas or water solution. When using a gauge to measure pressure in an ammonia application, it is critical that the wetted parts of the gauge are compatible with the process. Proper selection of wetted parts is especially important since ammonia is poisonous! OSHA/NIOSH lists 500ppm as immediately dangerous to life and health. The only acceptable wetted parts material for gauges used in ammonia applications are stainless steel or steel. A gauge with bronze/brass wetted parts is not suitable for ammonia applications since ammonia may cause the bronze/brass wetted parts to stress-crack and cause a gauge failure. Setpoint Integrated Solutions offers a variety of Ashcroft gauges suitable for ammonia applications. When ordering a gauge for ammonia service, the wetted parts of choice are 316 SS. Setpoint Integrated Solutions is proud to partner with Ashcroft Inc. 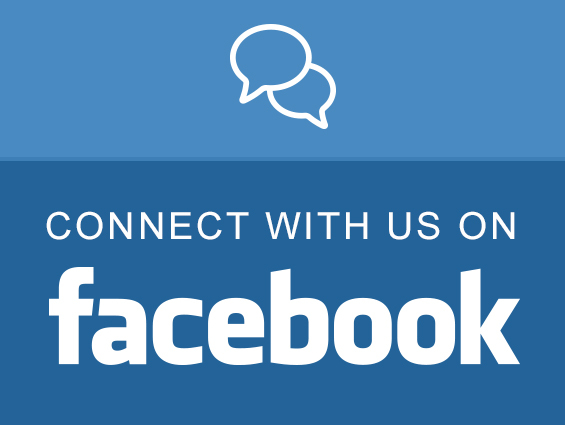 The above information comes from Ashcroft Inc.
Setpoint Integrated Solutions, Inc. (Setpoint I.S.) 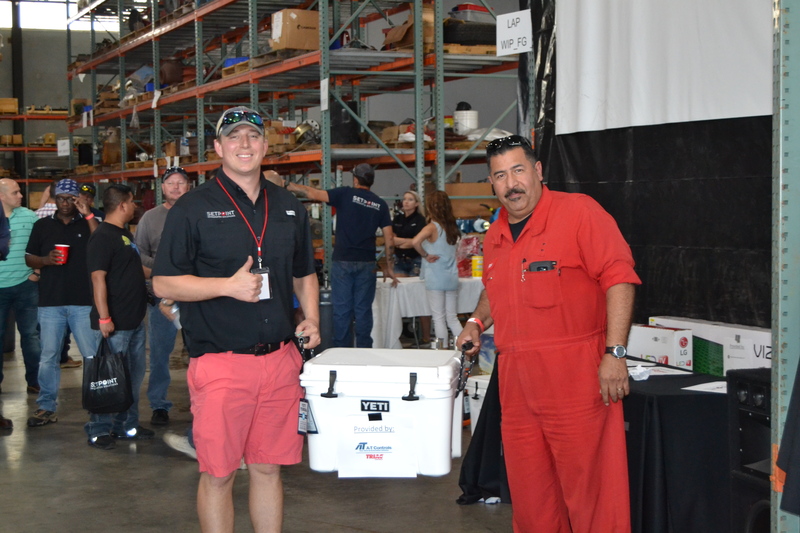 La Porte branch location hosted an open house for its customers. 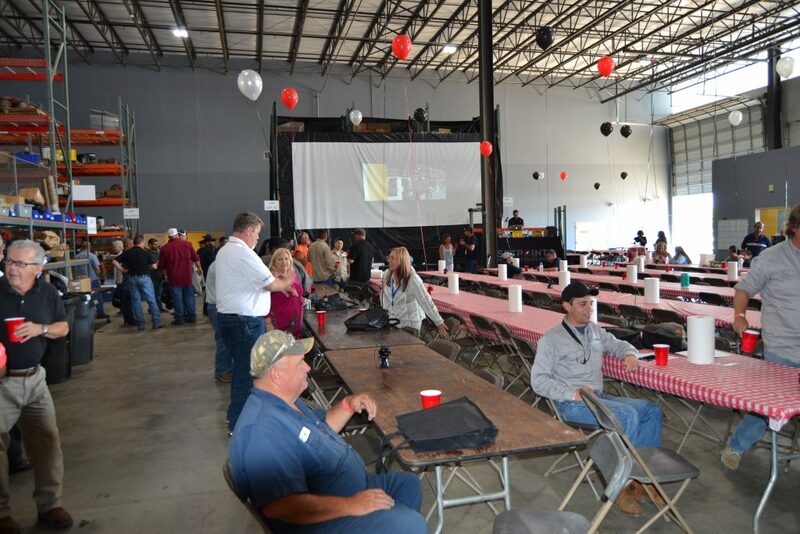 The evening was fun filled and featured multiple raffle prizes as well as a variety of dishes from brisket to crawfish. 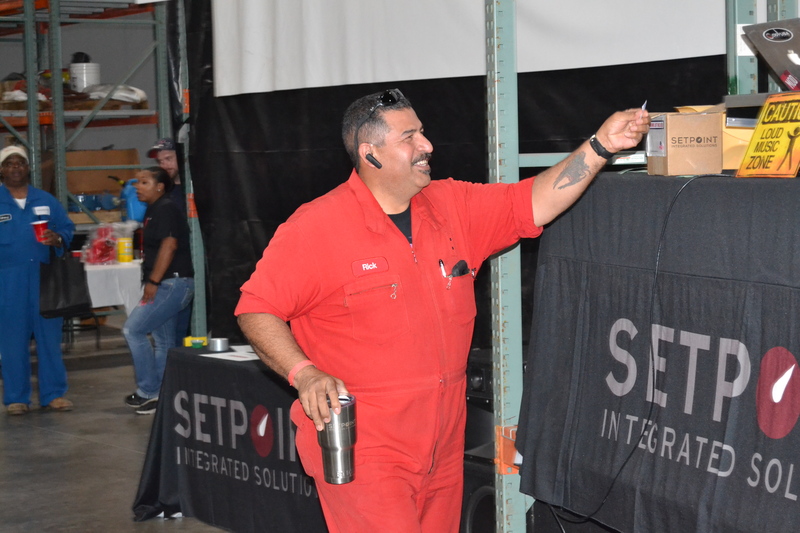 “Setpoint Integrated Solutions is very fortunate to have the best employees, customers, and manufacturing partners in the industry. It was a real pleasure to host folks from each of these groups for a great evening together to share some delicious crawfish and one another’s company. It takes a total team effort to make this industry run and Setpoint Integrated Solutions is proud to be a part of the team,” said Bryan Clower, Setpoint IS Vice President of the Western Region. Sandro Esposito, Setpoint IS Director of Digital Solutions, was the master of ceremonies and DJ as the Setpoint IS What is Innovation video, as well as the Pon corporate video were showcased on screen. 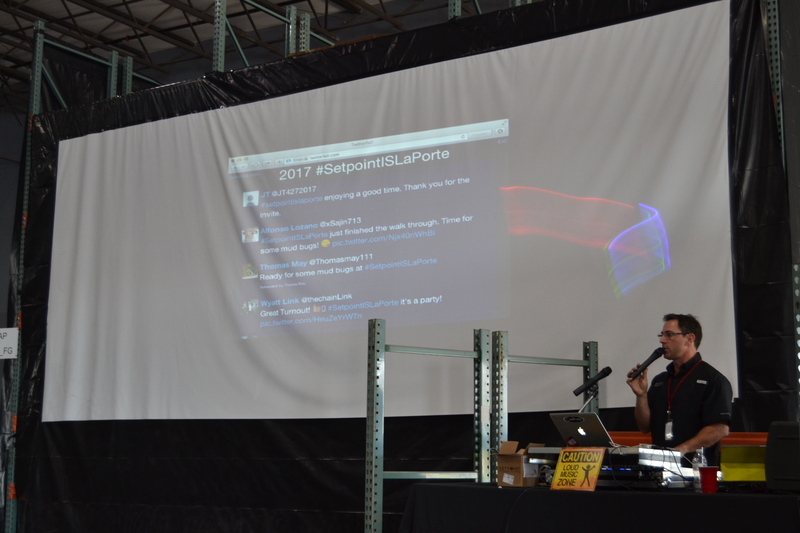 The event was live tweeted with the hashtag #SetpointISLaPorte to great success, with the attendees being able to see their own tweets appear real time on the projector screen. 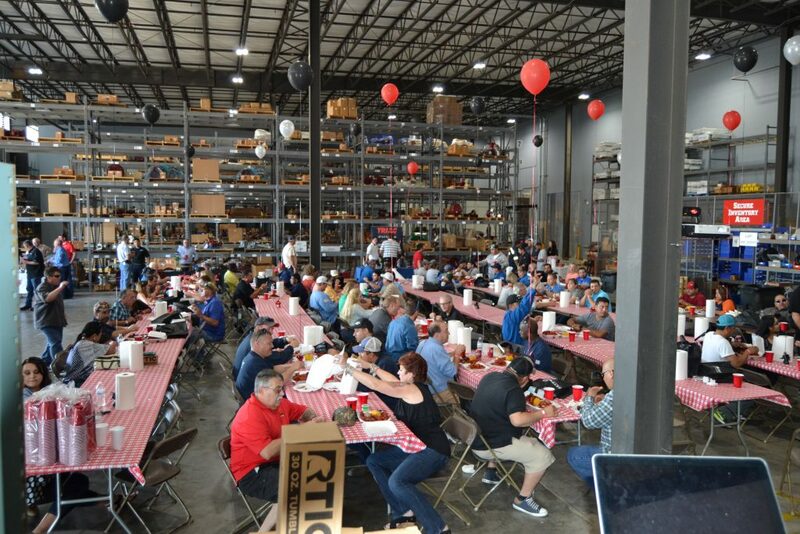 This open house featured our OEM Partners of GE, Flowserve, AT Controls and Rotork, which showcases Setpoint IS’s commitment to serving our customers with top tier products. 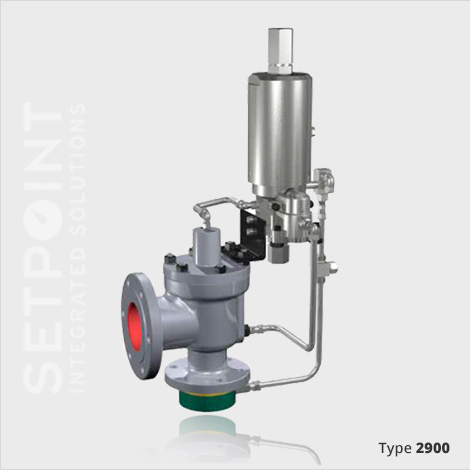 Setpoint Integrated Solutions (Setpoint IS) is a leading integrated solutions and services provider in the process control industry. 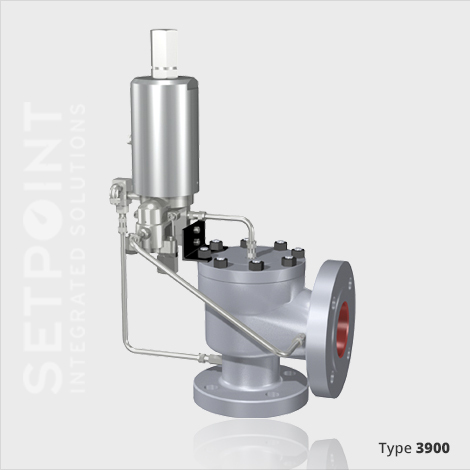 Setpoint IS engineers, sells and services products ranging from control valves and process automation equipment to relief valves and industrial filtration, and provides a full range of site services and immediate technical support. Setpoint IS, headquartered in Baton Rouge, La., is a subsidiary of Pon Holdings B.V. of the Netherlands. For more information on Setpoint IS’ products, services and locations, please visit www.setpointis.com.